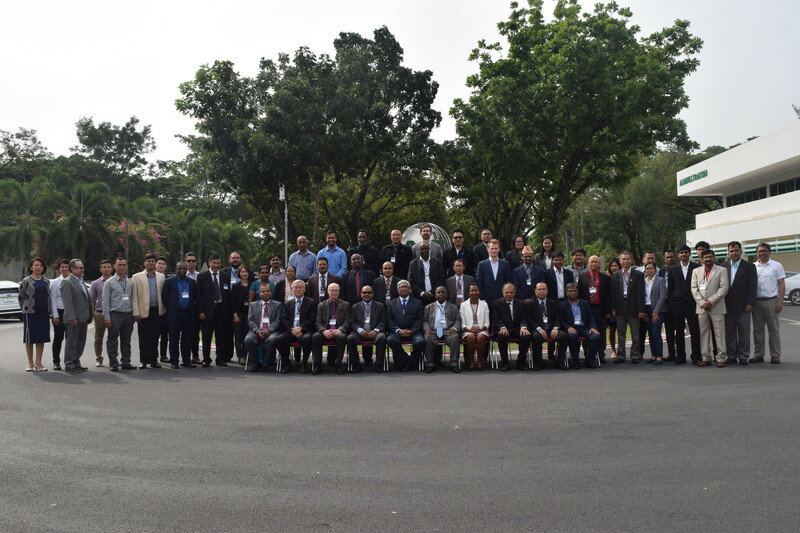 Heads and representatives of National Meteorological and Hydrological Services (NMHSs) of, and national scientific and technical agencies that generate early warning information for different hazards in Afghanistan, Bangladesh, Bhutan, Cambodia, Comoros, Djibouti, India, Kenya, Lao PDR, Madagascar, Maldives, Mongolia, Mozambique, Myanmar, Nepal, Papua New Guinea, Philippines, Seychelles, Sri Lanka, Sudan, Thailand, Timor-Leste, Tonga and Yemen, met from 13-14 November 2018 in Pathumthani, Thailand to update on the portfolio of products and services that is available from RIMES Program Unit, receive feedback on the usefulness and benefits of these products and services for better managing resources in climate-sensitive sectors and in building hazard-resilient communities, and how these products and services could be scaled to other Member and Collaborating States to meet user demands. The members appreciated the portfolio of multi-hazard end-to-end early warning system products and services developed by RIMES Program Unit, assisting NMHSs to respond to user demands, innovative programs with development of various decision support systems with close collaboration with the line departments. The council also appreciated the efforts of India Meteorological Department (IMD), National Centre for Medium Range Weather Forecasting (NCMRWF), and Indian National Centre for Ocean Information Services (INCOIS) and the European Centre for Medium-Range Weather Forecasts (ECMWF) for their continuous support and work with RIMES in extending technical assistance to RIMES Member and Collaborating States, and in implementing Master Plan priorities to build national integrated multi-hazard early warning systems, the United Nations Economic and Social Commission for Asia and the Pacific (ESCAP), World Meteorological Organization (WMO) for their support in various program implementation in RIMES member and collaborating countries.